The local foodie community’s loss is Red River College’s gain, following an announcement that a popular St. Boniface chef will join our instructing staff this fall. Earlier this month, Melissa Hryb — the head chef and co-owner of Marion Street Eatery— announced she’d be leaving her post in the restaurant’s kitchen, having accepted a position with RRC’s School of Hospitality and Culinary Arts. 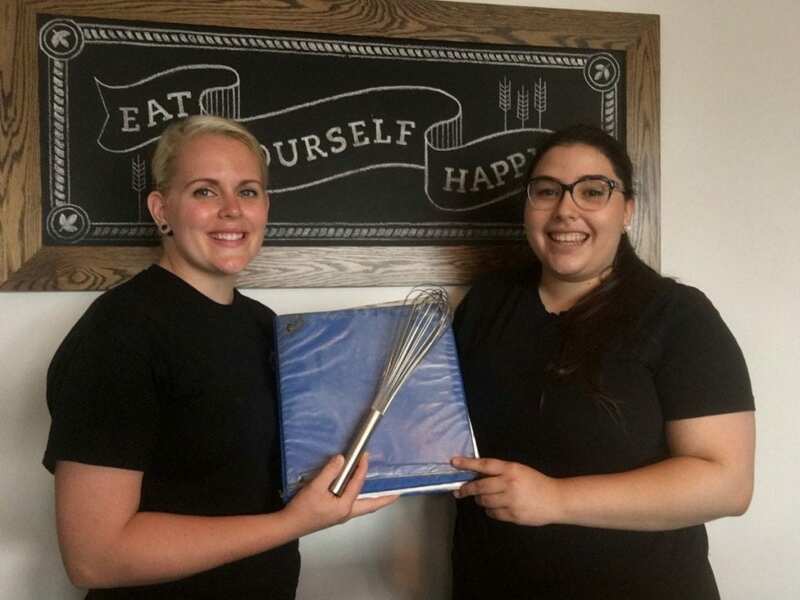 A 2005 graduate of the College’s Culinary Arts program, Hryb (shown above, at left) opened the Eatery in 2014 with fellow RRC grad Laneil Smith (Hospitality and Tourism Management, 2006), whose family owned the Marion Hotel and adjoining restaurant space. The pair first met while working at Bergmann’s on Lombard, where Hryb was a sous-chef and Smith a front-of-house manager. Though Eatery staff describe Hryb’s departure as bittersweet, they didn’t have to look far for a replacement. Culinary Arts grad Camila Gamboa (also shown above) has been working for the Eatery for three years, having leveraged her RRC co-op placement into a full-time kitchen position in 2015. She was later tapped to fill in for Hryb while she was on maternity leave. “Camila is excited to be taking the reins, and wants to bring you all those same favourite comfort foods you’ve always enjoyed,” Hryb said in a social media post. Photo courtesy Marion Street Eatery.